The June Oven has changed the way we prepare meals. Combining intelligence and convenience, this countertop oven does it all to take all the stress out of cooking. Say goodbye to cooking stress with the June Oven Intelligent Countertop Oven. Combining seven appliances in one, this kitchen gadget produces tasty meals at the touch of a button. In fact, June replaces your convection oven, slow cooker, air fryer,.. Become a master in the kitchen with June, the intelligent oven. This clever appliance is a counter top oven that helps you produce restaurant quality meals. 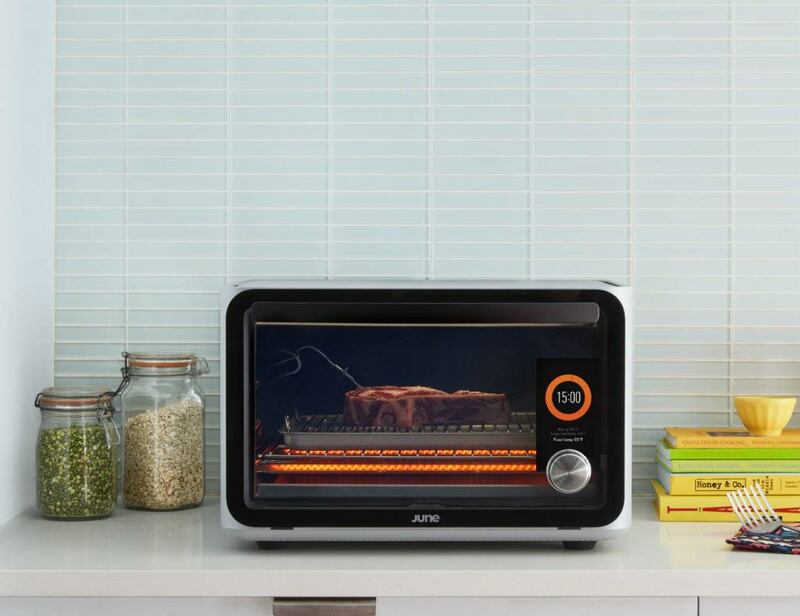 With June, you can bake, roast, broil, toast, and more, all from this compact..